SON FINDS MOTHER after years of separation. One of the MOST JOYFUL moments in this work, is seeing families reunited! 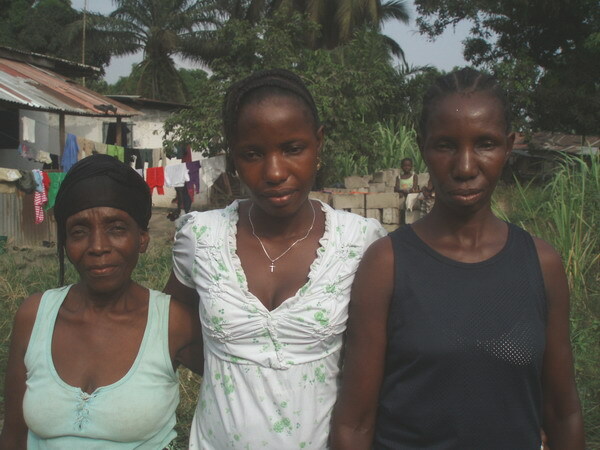 During the 14 years of civil wars many Liberians were separated from their families. They often had no clue if their family members were still alive. Today more and more families are finding each other! Thousands witnessed the brutal death of their loved ones as rockets and gunfire exploded all around them. In terror they fled in all directions, often losing the whereabouts of each other in the frenzy. Many left on foot to neighbouring countries, like Guinea, Ivory Coast or Ghana. Others escaped by boat. To this very day so many are trying to locate their family members, even “within” Liberia. Whenever possible Provision of Hope will try to help. We also help refugees resettle back home. This past January one of our sons, SUMO GIBSON, was reunited with his mother! For years Sumo would search for his mother, always hoping, but never finding her. There was an ache in his heart that would never go away. It seemed like he knew she was still alive somewhere, the question was where? I will never forget the look on Sumo’s face when he came back from his search accompanied by his mother! What a day! Mamie, Sumo’s mother was overjoyed to see us, and could not stop thanking Provision of Hope, for taking care of her children. Mamie, grows vegetables on a small piece of land in the interior. We gave her 200 dollars to boost her small business. Decontee, ( Sumo’s sister) Mother Mamie and Sumo Gibson are so happy they all survived the war. Today they are safely together! Decontee was raised by a widow woman named Ma Martha. When her father was killed in the war, her mother became very ill and was not able to take care of her family. Ma Martha had so very little herself, but she shared the little she had. One day Provision of Hope came with Sumo to see the condition of his sister. It was so poor! They lived in a run down hovel. There was little food and no mattresses. Many nights they would go to bed cold and hungry. 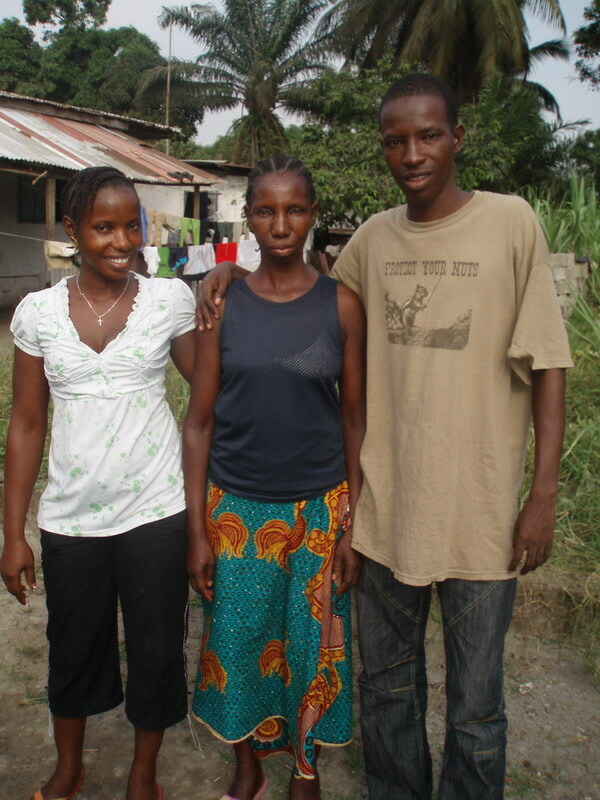 For years Decontee was not in school, for lack of funds. I will never forget the day, we were able to tell Decontee that she could go to school with her friends. Sumo said she didn’t sleep all night! At that time we helped Ma Martha move to a new community where they had a better quality of life. In addition to food and clothes, we gave her money to boost her little coal business. Today she sells small food items at a little stand in front of her home. Decontee is in highschool now, doing very well in all her subjects. She is also a great soccer player! Her dream is to become a nurse. She has no sponsor, so if anyone would like to sponsor a very precious young girl, please get in touch with us. We have 13 of our boys at My Father’s House who would like to see their families too. They have been begging to do this now for months. For many they have just located their families, after years of separation. Some have both parents who were killed in the war, but others do have mothers or grandmothers, aunts or uncles, they know about, who survived the war. The boys who are asking to see their relatives are: Jackson Gbour, Patrick Goh, Randall Doegmah, Uriah Marcus, Francis Darlieh, Michael Gbahn, Dominic Roberts, Timothy Nurson, Reuben Gea, Lougon Wonbiah, Joseph Sackie, and James Kollie. I have felt very strongly that it would be good to let these boys go for a visit to their families, now during their school break. In order to do this we will need funding. For each of the boys it will cost 50 – 75 dollars to visit, depending which county they will travel to. We give tax receipts both in the US and Canada. Any contribution towards this would be most appreciated.